The number of responses that took issue with the sentiment expressed was surprising. Now, at the risk of sounding like a conspiracy theorist, I know for a fact that NZ Herald's current modus operandi is achieving website hits. For example, they set up minimal word (for the attention deficit readers) contrasting views to provoke debates readers will repeatedly return to. Regarding their anti-domestic violence campaign, I'd accepted their anti-male bias as sincere if misguided. But I may be a muggins. Perhaps this entire campaign has been set up to antagonize and enrage, thus setting up a flurry of website hits. Or maybe I am over-thinking it. It's bad enough not trusting their so-called facts. It's worse not trusting their motivation. Flaxmere is the 'benefit baby' capital of New Zealand. The regional DHB does not breakdown births by centre. But if the numbers of babies born in 2015 who were benefit-dependent by year-end are calculated as a percentage of all beneficiaries at that Work and Income Centre, Flaxmere is the highest in the country. In all of Hawkes Bay DHB region there were 2,215 babies born in 2015. The region encompasses Work and Income Service Centres Flaxmere (96), Hastings East (155), Napier (170), Taradale (47), Waipukarau (26) and Wairoa (49). A quarter of all babies born in the Hawkes Bay DHB region - 543 - were on welfare directly or shortly after their births. Update: Here is a man who has drawn his. He says (having fostered 200 children in Flaxmere) that the govt rewards children for having children, that govt has "legitimised" it. "Domestic violence is a male problem, and women are the victims." I disagree. Yes, men are more likely to resort to physical abuse but women either provoke or react with their own methods. 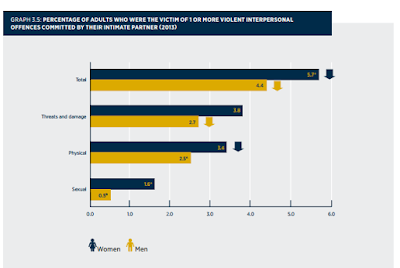 Overall, we find that women (6%) were more likely than the men (4%) to be the victim of a violent interpersonal offence by an intimate partner in 2013. - The percentage of women experiencing 1 or more physical offences committed by an intimate partner was 3% in 2013 down from 5% in 2008. 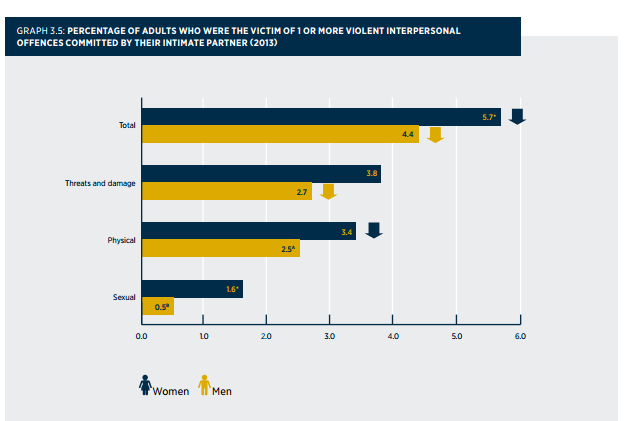 - The percentage of men experiencing 1 or more threat and damage offences committed by an intimate partner was 3% in 2013 down from 4% in 2008. There is a growing body of belief and advocacy that demands we accept women are beyond reproach. I don't know what world these people live in. Foreigners are taking Kiwi jobs!! New Zealand created 120,000 new jobs in the past two years, but the number of unemployed and underemployed rose. Essentially New Zealand imported a net 123,900 people to do those jobs. Unadjusted figures showed a record net gain of 67,600 migrants in the March 2016 year. This idea of foreigners taking Kiwi jobs is another gaining currency (with a good flogging from the they're-taking-our-houses NZ Herald.) There are certainly more immigrants coming to NZ to work and settle. But to talk about "importing" 123,900 workers when many of them are New Zealanders is misleading. Hickey says that social, justice and educational policy settings are failing to turn out employable Kiwis, or that employers won't pay them enough to make it worth their while. We all know that welfare is to blame for the situation whereby some New Zealanders have gotten "lazy" (the word a refugee recently used to me to describe people who sit on benefits when he had managed to get himself work with virtually no English and no help from WINZ). "Simply opening up the doors for more migrants is not the answer in the long run." Actually it just might be. The kind of people who will make up NZ's population in the future will not tolerate the sort of welfarism which was never a feature of their birth countries. They know how damaging it can be.